Both western and eastern pine gall rust are caused by fungi. You can learn more about these destructive pine trees diseases in this article. 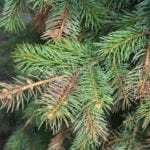 There are essentially two types of pine gall rust diseases: western pine gall and eastern pine gall. Also known as western pine gall rust or as pine-pine gall rust for its proclivity to spread from pine to pine, pine gall rust disease is a fungal disease that affects two- and three-needle pine trees. The disease, caused by a rust fungus known as Endocronartium harknesii, affects Scots pine, jack pine and others. 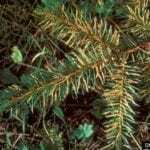 Although the disease is found across much of the country, it is especially widespread in the Pacific Northwest, where it has infected nearly all lodgepole pines. Eastern pine gall rust, also known as pine-oak gall rust, is a similar disease caused by Cronartium quercuum rust. It affects a large number of oak and pine trees. Although there are some differences between the two diseases, both types of gall rust are easily recognized by round or pear-shaped galls on branches or stems. Although the galls are initially less than an inch across, they grow year by year and can eventually reach several inches in diameter. In time, they may become large enough to girdle stems. However, they often they aren’t noticeable until about the third year. In spring, the surfaces of mature branches are typically coated with masses of orange-yellow spores, which can infect nearby plants when they are dispersed in the wind. Western pine gall rust requires only one host, as spores from one pine tree can directly infect another pine tree. However, eastern pine gall rust requires both an oak tree and a pine tree. Maintain proper care of trees, including irrigation as needed, as healthy trees are more disease resistant. 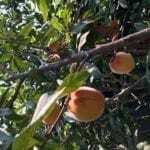 Although some professionals advise regular fertilization, evidence indicates that the fungus is more likely to affect fast-growing trees, which suggests that use of fertilizer may be counter-productive. Western pine gall rust generally doesn’t present a serious danger to trees, unless the galls are large or numerous. Fungicides may help prevent the disease when applied at bud break, before spores are released. Control measures are generally not recommended on oak trees. The best way to control pine gall rust disease is to prune affected areas and remove galls in late winter or early spring, before they have time to produce spores. Remove the galls before they grow too large; otherwise, extensive pruning to remove the growths will affect the shape and appearance of the tree.